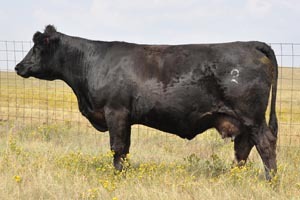 51B is a very strong topped, big hipped bull, with a nice clean front-end and excellent dispositon. 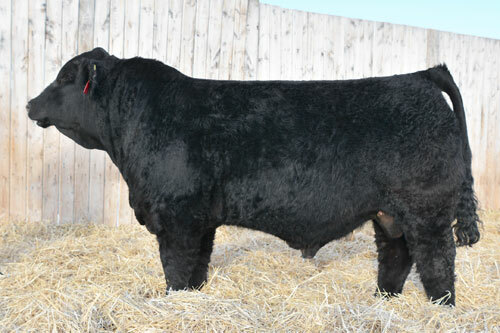 He goes back to our donor cow LFE Ready to Tango 609S. 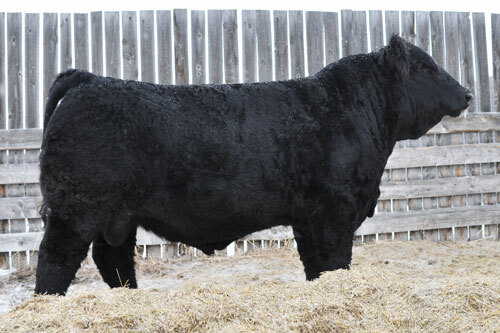 He was also a member of our pen of bulls at the Medicine Hat Pen Show in 2014. 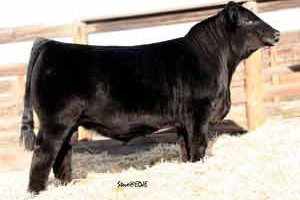 51B has a great spread on his EPDs from Calving ease to performance. He wasselected to walk our commercial herd in 2015 but we liked him so much we decided to use him on the purebred heifers spring 2016 as well where he calved well. We will continue to use him to clean-up the purebred cows. His calves are starting to impress already, lots of performance and style.